A bill that will provide schools with grant funding for suicide prevention programs was approved by the state Legislature on the last day of the session this week. 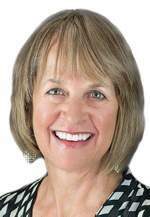 State Rep. Barbara McLachlan, D-Durango, backed SB18-272 to help address youth suicide, the leading cause of death for teens in the state. The bill will set aside $400,000 annually for two years to train educators in suicide and crisis prevention. The Colorado Department of Public Health and Environment will manage the grant and prioritize schools for funding that have not had any suicide prevention training before. McLachlan didn’t know exactly when the bill would be signed by Gov. John Hickenlooper, but she asked him to consider signing it while visiting Durango later this month. He is expected to sign two other bills McLachlan sponsored during his visit, she said. Schools and school districts can start applying for funding on Jan. 1, 2019, the bill states. “I assume that money will be going out very quickly,” she said. When the funding expires in 2020, that will give legislators the chance to re-evaluate the effectiveness of the program and potentially renew funding, she said. La Plata County has one of the highest youth suicide rates in the state, and several different organizations are working to address it, including Durango School District 9-R, La Plata and San Juan Counties Suicide Prevention Collaborative, and Communities Overcoming Depressed Youth (also known as The CODY Project). The two-county collaborative is including schools, law enforcement, youth-serving organizations and other groups in its efforts, as suicide prevention has a better chance of success when many different sectors in the community work together, said San Juan Basin Public Health spokeswoman Claire Ninde.